Sign up to Dry July Australia 2018 and raise funds for Cancer Council NT. 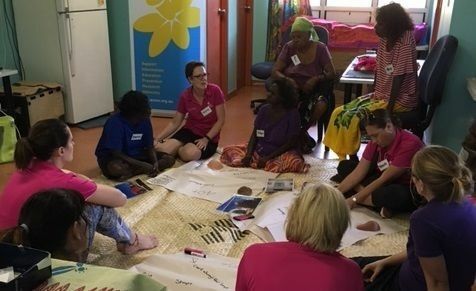 Fundraise for Cancer Council NT and you'll be supporting Territorians affected by cancer. We have a range of projects that we would like to implement with Dry July funding. One of our aims is to implement a free oncology massage program this year using funds from Dry July. We also plan to improve our counselling and waiting areas for people coming to our office in Darwin. 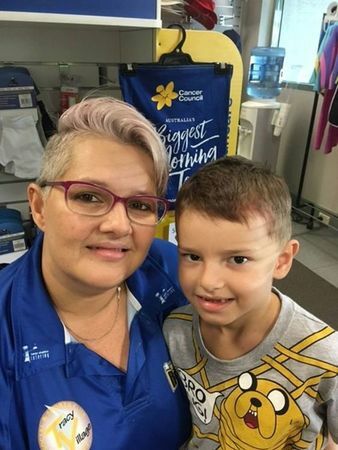 Cancer Council NT is a non-government, charitable, community based organisation committed to raising funds for the purpose of reducing the impact of cancer. We achieve this by providing information and practical support for people affected by cancer. Our services include the provision of support groups, counselling, educational and support forums, and free information booklets for any Territorian that seeks advice or support in relation to a cancer diagnosis. We offer wigs and scarves, prosthetics, social functions and retreats for individuals. We also provide free legal and financial services and some direct financial support for those impacted by a cancer diagnosis. We're proud to announce that Cancer Council NT has received a grant from the Dry July Foundation 2018 Grant Program. Often there is no better way to discuss serious issues like cancer and its impact than sitting down and talking face to face. In the territory this usually means travelling long distances and staying overnight. But we all agree it is a pleasure to meet and talk with Territorians about this important issue and how we need to work together to get the best outcomes. Thanks to Dry July to enabling this. As a young single mum of 4 children, Michelle was not prepared for her diagnosis of breast cancer in late 2015. Fortunately her friend was aware of Cancer Council NT information and support services so Michelle was able to come and speak with one of our nurses the same day she was diagnosed. Over the next 2 years, Michelle was able to access a number of our services and programs including our wig program, Cancer Information Group, specialist counselling and Yoga program. She was also able to tap into other community supports for both herself and her children. People impacted by cancer in the NT have no other access to independent advice or support. Cancer Council NT aims to give communities unbiased evidence based information so people have the ability to make informed decisions that are the right ones for them. Unfortunately many remote Aboriginal people don’t understand what cancer is or the treatments that are offered. CCNT plans to use funds raised through Dry July this year to pilot an education program involving travel to communities and talking to small groups or one on one with people about cancer and the treatments and options that are available. Working with the existing health systems in communities / regions, CCNT will set up a program of education directed at community members. Cancer Council NT would like to refurbish their counselling and support group areas. We would like to include some fresh plants, artwork and appropriate furniture. Help us implement this project by fundraising for Cancer Council NT this Dry July.